“It has been 20 years since I was asked to be the inaugural Chairperson of the Cooperative Research Centre for Aboriginal and Tropical Health. One of my fundamental objectives as a Chairperson was to work towards reconciliation between Aboriginal and Torres Strait Islander and Western perspectives of health and wellbeing and encourage a different way of doing research. That meant bringing the academics and the researchers together with those who are qualified to know what’s needed on the ground. I wanted practical people to investigate the changes that need to be made in Aboriginal and Torres Strait Islander communities to bring about the change we all want to see for our peoples. “When these ( ACCHO ) services are set up, it was very clear that the mainstream system was failing us. So we decided we had to set up our own services… those original AMSs, Redfern and Congress and all the others that followed… were… hotbeds of political activism as well. 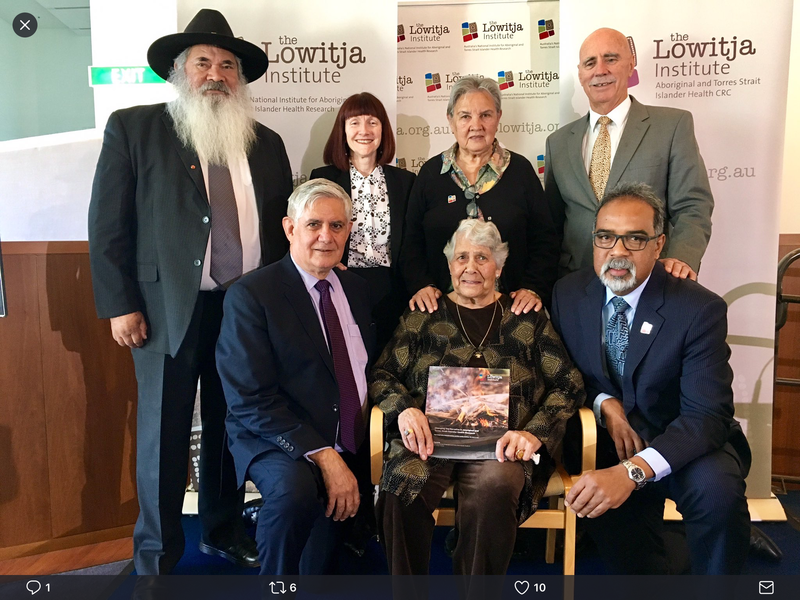 In 2017 Lowitja is celebrating 20 years of Aboriginal and Torres Strait Islander led and focused health research – recognising the journey of the Lowitja Institute and the four associated Cooperative Research Centres (CRCs). 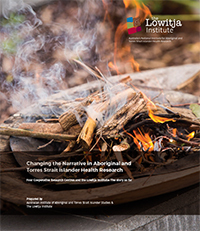 Changing the Narrative outlines the journey and the successes of the Institute and the CRCs, and showcases how their cumulative efforts have pioneered a new way of conducting health research in Aboriginal and Torres Strait Islander communities. It maps the evolution of a new, collaborative and culturally appropriate way of carrying out health research. It’s an approach driven by Aboriginal and Torres Strait Islander priorities – an approach developed by the CRCs, and embodied in the Institute. Each of the CRCs and the Institute has progressed the work to develop health research expertise and processes to achieve lasting reform. 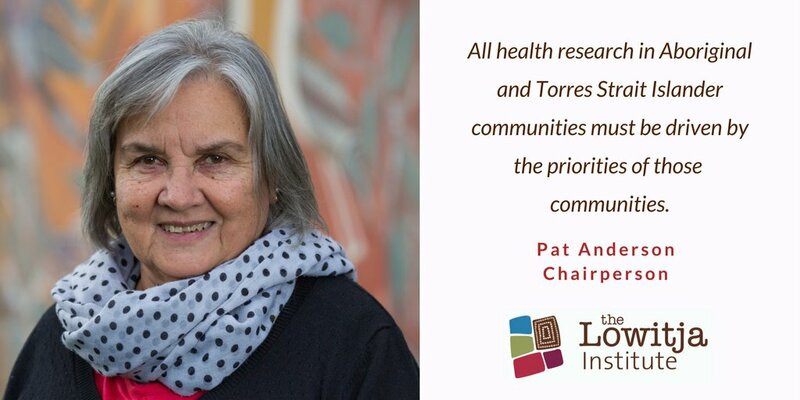 Efforts are based on key principles of Aboriginal and Torres Strait Islander control of the research agenda, a broader understanding of health that incorporates wellbeing, and the need for research to have a clear and positive impact. 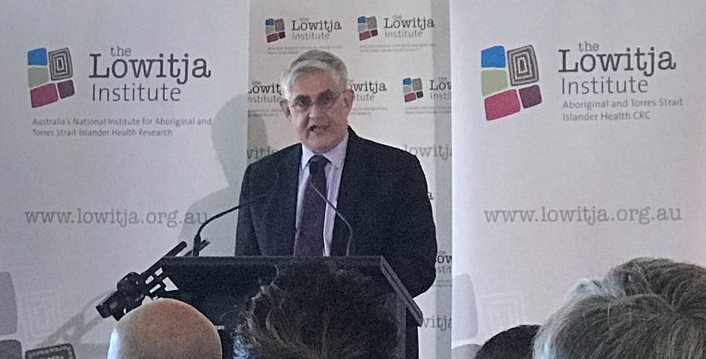 The Lowitja Institute commissioned the Australian Institute of Aboriginal and Torres Strait Islander Studies (AIATSIS) to write a brief history of our organisation – including audiovisual recordings that highlight the vision of influential individuals. 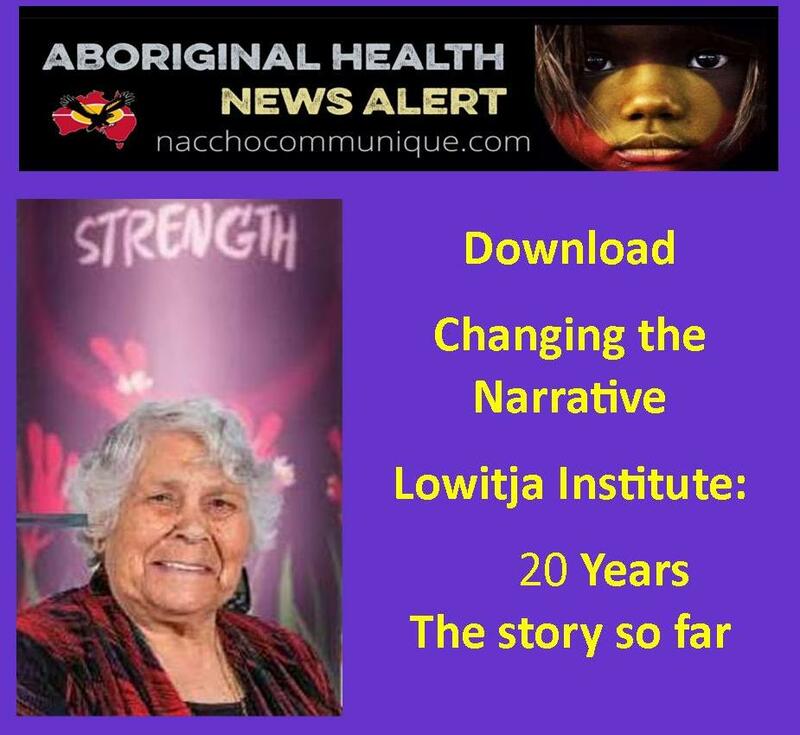 In addition, the writing, editorial and production work of the Lowitja Institute team have created the hard copy Changing the Narrative publication, and a companion e-book which will be available soon. While this sense of outrage at inequality was being expressed at the universities and in the big cities, little change was occurring in the rural and remote areas of Australia where services for Aboriginal and Torres Strait Islander people were limited. Those that did exist were segregated and hidden in Aboriginal and Torres Strait Islander welfare departments, missions, reserves and pastoral stations. In the 1970s, however, there was a significant increase in Aboriginal and Torres Strait Islander health research.11 The results of much of this research confirmed that Aboriginal and Torres Strait Islander life expectancy was lower, and morbidity higher, than for other Australians. In the Northern Territory, these statistics were worse than they had been for non-Indigenous Australians at the turn of the twentieth century.12 Other indicators – such as living conditions, maternal and infant health and chronic disease – highlighted a huge gap in health outcomes between Aboriginal and Torres Strait Islander and non-Indigenous Australians. Pat Anderson drew attention to the sense of ‘struggle’ against inefficient government control and past polices and the desperately poor health situation for Aboriginal and Torres Strait Islander peoples that framed their thinking in setting up these Northern Territory community controlled health services. 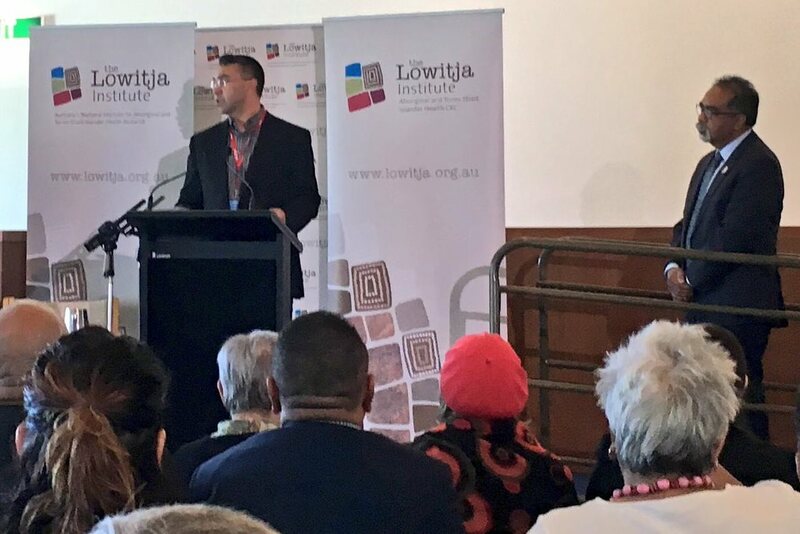 Shane Houston described the Working Party as ‘visionary’ to ‘embrace this notion that good data and good research could be the bedrock or the springboard on which we built really quite an innovative model and approach to Aboriginal health and research’. This was in spite of the fact that, up to that point, ‘appalling relationships [existed] between Aboriginal communities and researchers’ resulting from ‘countless examples’ of research failing to engage in ethical and effective ways with Aboriginal and Torres Strait Islander communities (Shane Houston interview, 1 December 2014). Shane Houston was critical of what he saw as the dilution of the recommendations of the Working Party in the final report.26 Nevertheless, he later also recognised that it helped reshape the discussions around some of the most important issues regarding Aboriginal and Torres Strait Islander health and continued to be influential 25 years later. He pointed out that the NAHS was a breakthrough for policymakers and for Aboriginal and Torres Strait Islander community controlled health services, as it carried the debates beyond blaming researchers for their self-interest, and grasped the idea of influencing good and ethical research to create better data.